In the grounds of Towneley Hall stands the impressive monument of Foldys Cross. Like many large churchyard and wayside crosses, over the years it has been damaged, moved and repaired. It once stood by the south door of Burnley Parish Church, and it has an explanation of its origins in Latin gothic script around the basal plinth. “Orate pro anima Johnnis Foldys capellam qui crucern fieri fecit. Anno Domini MCCCCII.” This translates as “Pray for the soul of John Foldy, chaplain, who caused this cross to be made in the year of our Lord 1520”. In 1789 the shaft had become damaged and Foldys Cross was then moved to Towneley and re-erected with a new shaft. Other parts of the cross may have been found elsewhere in the vicinity. 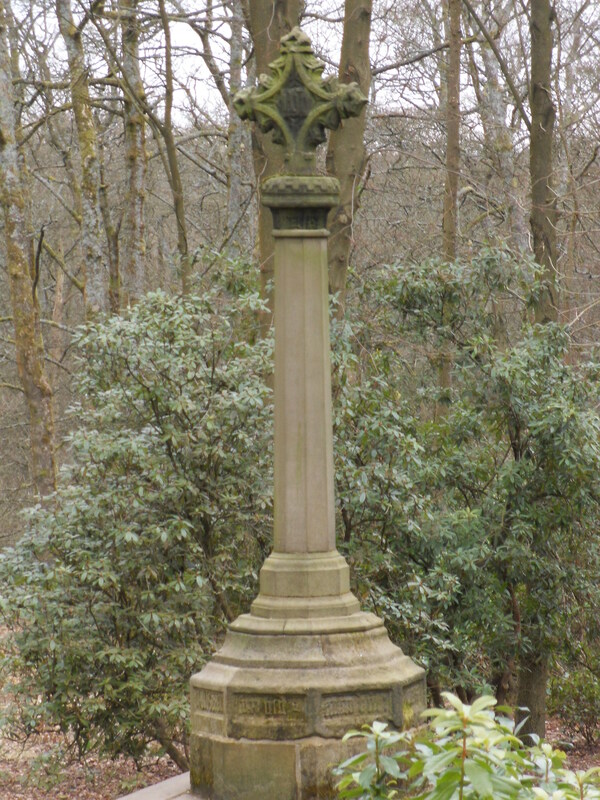 A source from 1885 states that at Pheasant House (possibly Heasandford House, sometimes known as Pheasantford House) there was an “octagonal and embattled corona” that appeared to be of the same stone as the base part of Foldys Cross, complete with sockets on the top and bottom which seemed of the right size to fit the monument . 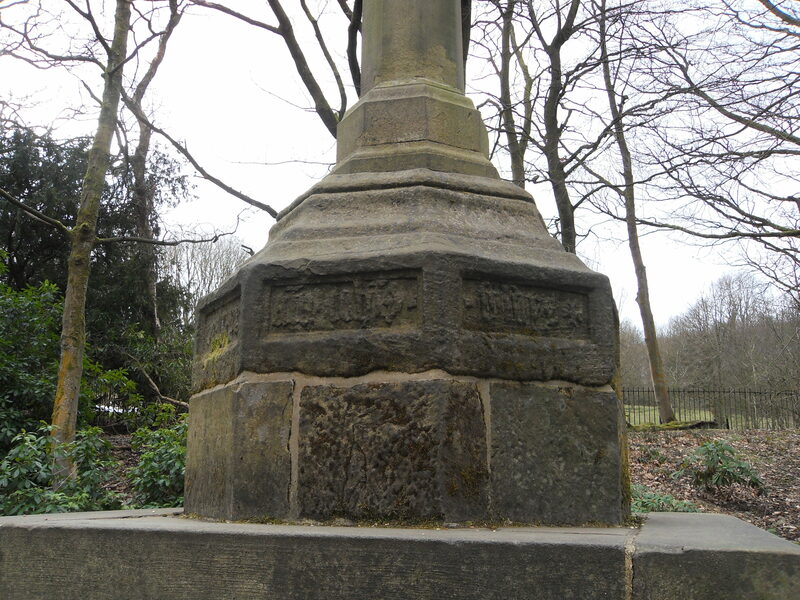 In 1911 the cross was restored once more, this time by Burnley corporation, presumably giving it its present day appearance. Examining the cross today, we see that much of the basal plinth with ornate Latin writing looks original, but some of the panels have been replaced. The shaft we know to be more modern, but sitting on top of it is the original molded cap which has carved emblems and flowers. The original ornate crosshead has IHS on one side, and Christ crucified on the other, the figure of Jesus being a particularly interesting 16th century depiction. The grounds of Towneley Hall are free to visit, and open throughout the year. Parking: Park at the Todmorden Road carpark for Towneley Hall, and proceed down the hill a short distance to see the cross. There is a small parking charge.